Kevin and Rachel Hinkle met in college. What started as a close friendship inevitably blossomed into romance. They dated a couple years and eventually got married. They bought a house in Auburn, IL and settled down into their careers. When they were ready to start their family, they spent 2 years trying to get pregnant with no luck. 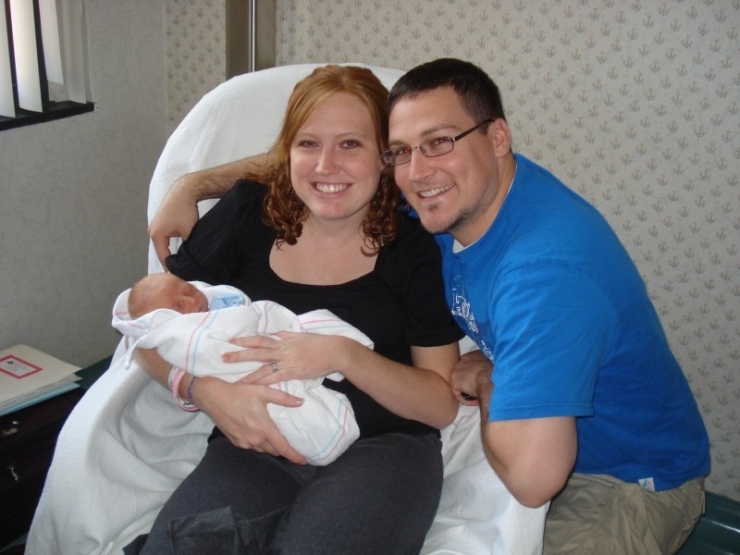 They consulted with an infertility specialist and eventually Rachel got pregnant. The pregnancy went smooth and without complication. Their son, Matthew Hinkle, was born on August 10, 2009. When the Hinkles brought him home, they were grateful for the life they had built together. They were eager to begin this new journey of parenthood. Things seemed like they couldn't get any better. As first-time parents, they didn't know what to expect. Matthew began crying. A lot. He wouldn't stop. He was also able to hold his head up by himself. They thought,Wow, our baby is so strong! He can already hold his head up! This was, in fact, a sign of something wrong. 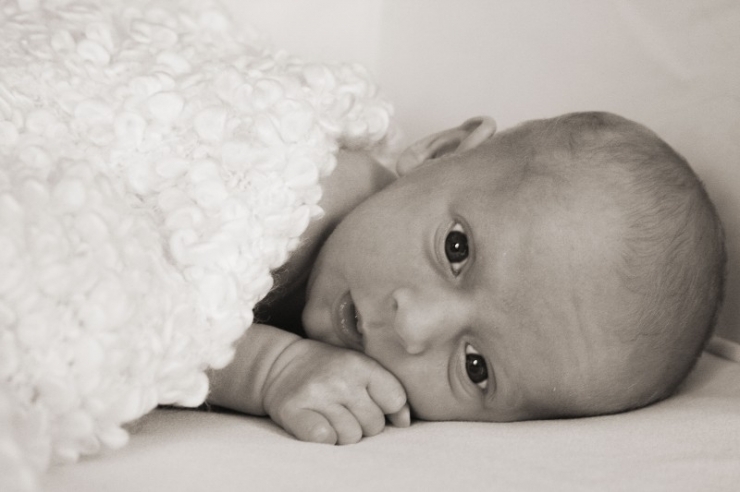 When the crying wouldn't stop, the Hinkles took Matthew to a doctor. The doctor immediately noticed Matthew had increased muscle tone throughout the body, which was why he could hold his head up. 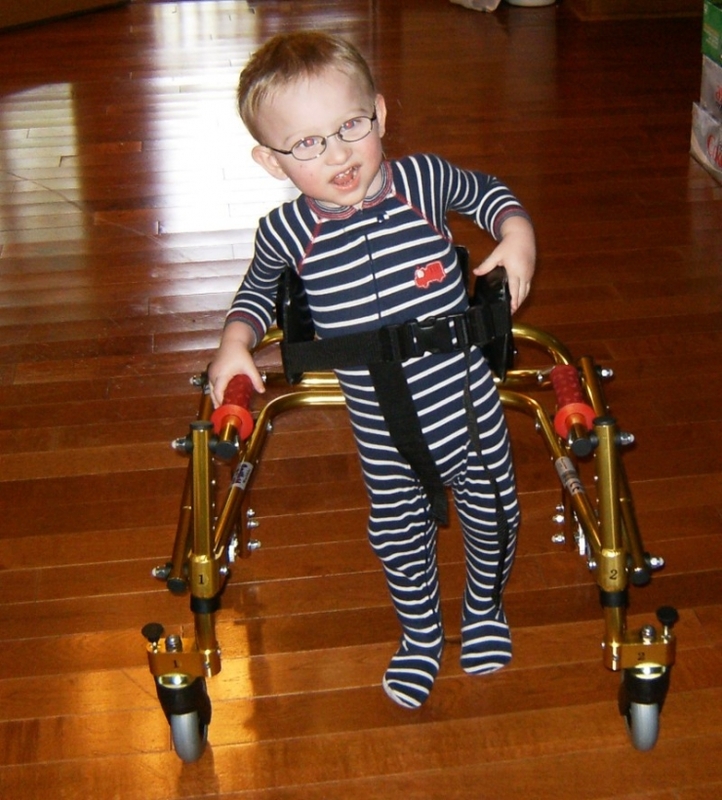 At 8 weeks old, Matthew underwent a neurological workup, including a spinal tap. 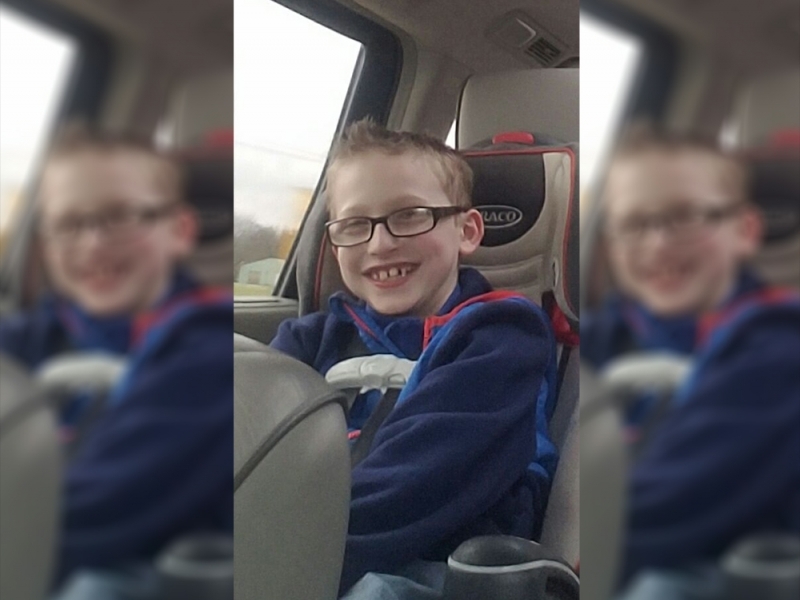 Doctors discovered problems with Matthew's neurotransmitter levels in his brain. Matthew underwent more tests and exams. He was put on medications to help his brain produce the neurotransmitters that he's missing, which took a lot of trial and error. 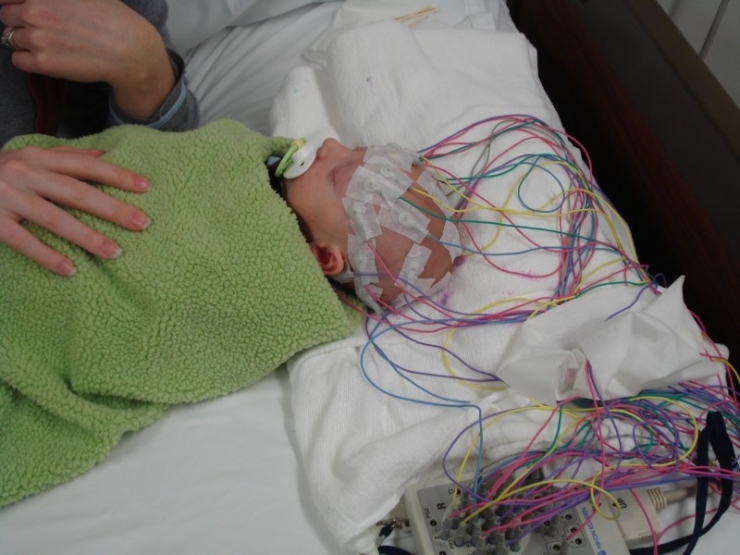 Matthew was tested for all known Neurotransmitter Disorders. All came back negative. PNDs are rare, with only approximately 100 patients diagnosed in the world. 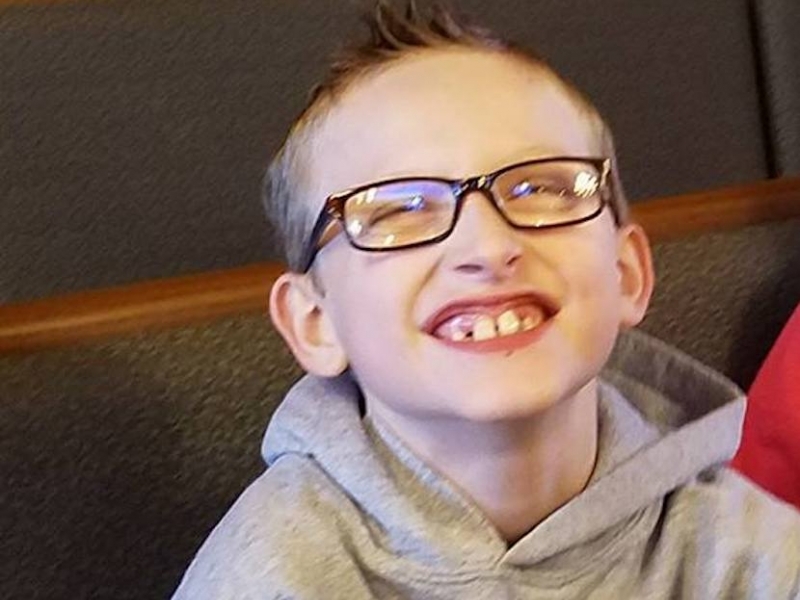 Whatever Matthew's specific disorder is, doctors know nothing about it. It's never been seen before. Rachel tells us, "While no medical diagnosis is easy to hear, there are support groups, treatments, and many things to make the journey easier on the patient and their family. In Matthew's case, the only thing there is, is unknown. An unknown cause, an unknown diagnosis, an unknown future." 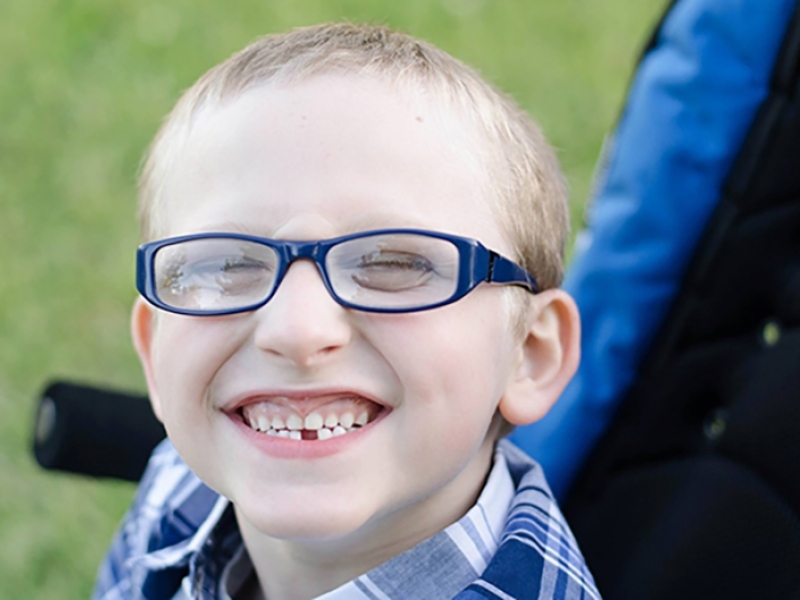 At age 2, doctors were stumped when they discovered Matthew had developed arachnoid cysts in his brain. Arachnoid cysts are fluid-filled sacs that occur on the arachnoid membrane that covers the brain and the spinal cord. Because of where the cysts are located, surgery to remove them will require a very risky craniotomy and multiple surgeries. The Hinkles have to wait. Doctors are watching the cysts to see if they are growing and truly causing any problems with Matthew's brain before making a decision to remove them. Despite all his health issues, Matthew is the happiest boy you'll ever meet. If you take a look at any given picture of him, you will see he is always smiling. He loves to be around people and waves at everyone he sees. He was delayed at walking, but managed to learn how by the age of 4. Since learning how to walk, he loves to be outside. He is obsessed with anything that has to do with trains and his favorite thing to do is play in water. However, things can get challenging for Matthew because of his developmental delays. He doesn't get enough sleep, partly because his parents have to wake him up at 3:00 AM to administer medications. He struggles to communicate because he is nonverbal. 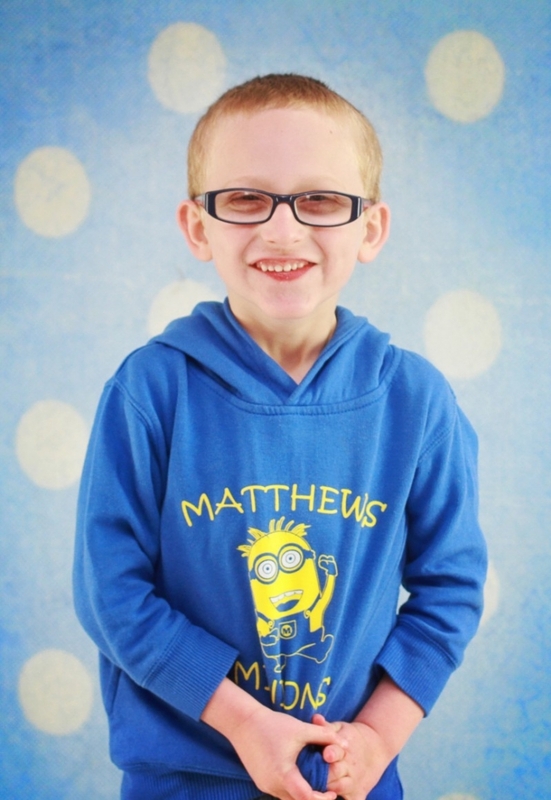 "Matthew sometimes gets very upset and has resorted to hitting, kicking, and even biting when he is unable to tell his parents, friends, and teachers what he wants to say," Rachel explains. The Hinkles have tried sign language and other forms of communication, but all have fallen short due to his delayed fine motor skills. Rachel has had to quit her job to stay home to take care of Matthew. Matthew's medical bills added up so quick that the Hinkles had to file for medical bankruptcy when Matthew was only 9 months old. They sold their house and moved into a modest fixer-upper. Matthew is on many different medications. As he gets older, the medications will continually be increased. The costs are rising and the Hinkles are trying to keep their heads above water. They need a little help. 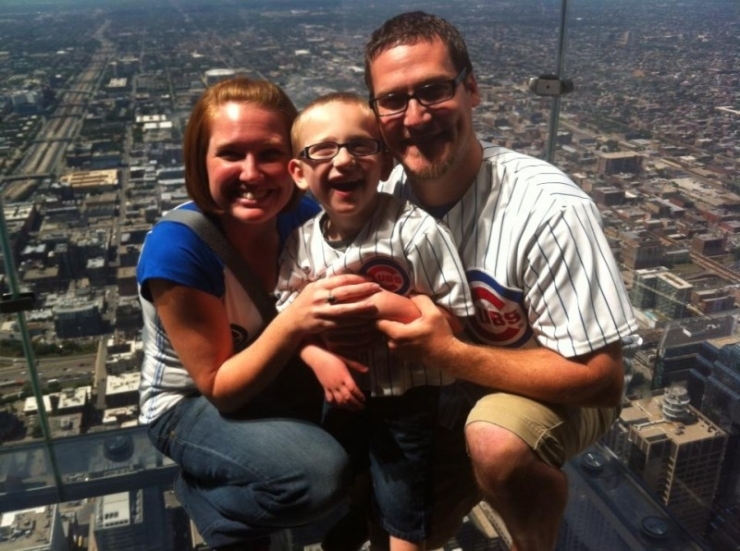 We are proud to announce that the Hinkle family are receiving a $17,500 grant fromChive Charities! 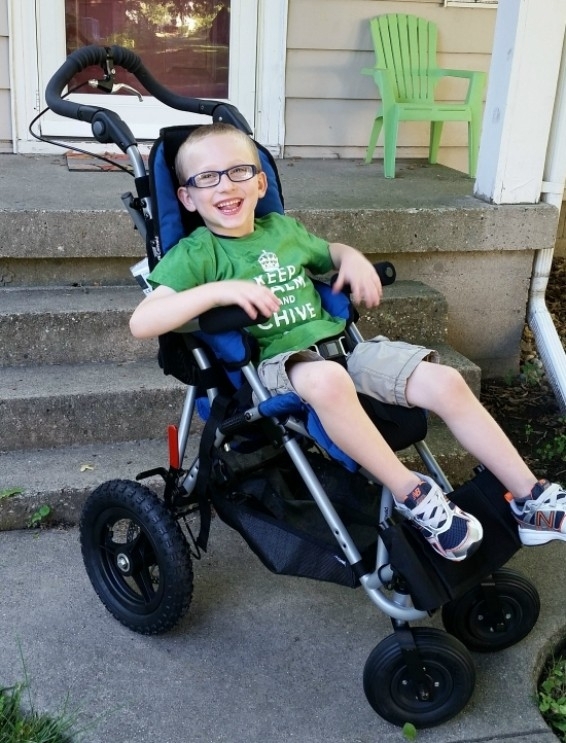 The grant will go towards 1 year of medications and nutritional supplements, a wheelchair, which Matthew needs because it is difficult for him to walk long distances, and a special non-verbal communication device which will give Matthew a way to communicate his needs. Lastly, the grant will also go towards a new Exome Genetic Sequencing test which will possibly lead to a proper diagnosis for Matthew! 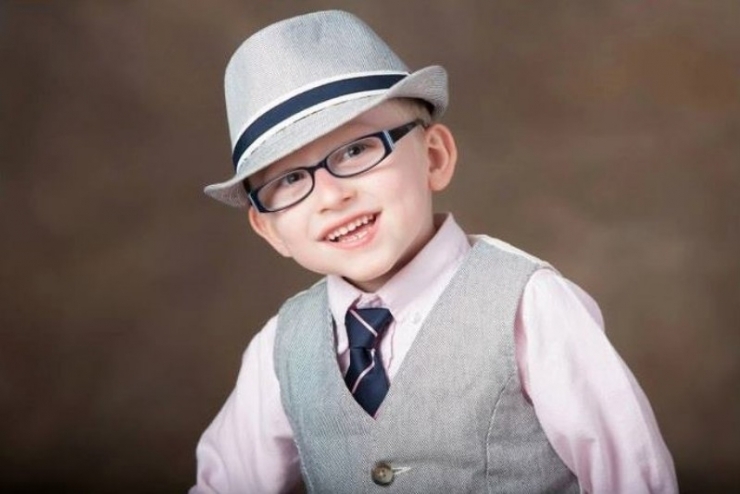 Friends of the Hinkles put together a fundraiser for Matthew called "Matthew's Minions." They sold t-shirts to aid the Hinkles with their mounting medical debt. Supporters post pictures of themselves in the shirts. The Hinkles were introduced to Chive Charities and theCHIVE by their friend, Tom Appelt. Tom got the Hinkles involved with The Chive Illinois. The chapter immediately came to their aid and held fundraisers for Matthew. Above is Matthew and Ryan "Merf" Murphy, an admin with The Chive Illinois at one of the fundraisers. Matthew in his new wheelchair! Matthew loves to go to the zoo, but walking a long distance is challenging for him. Now when it becomes too difficult, he has a proper wheelchair that he fits in. Matthew with his advanced non-verbal communication device! 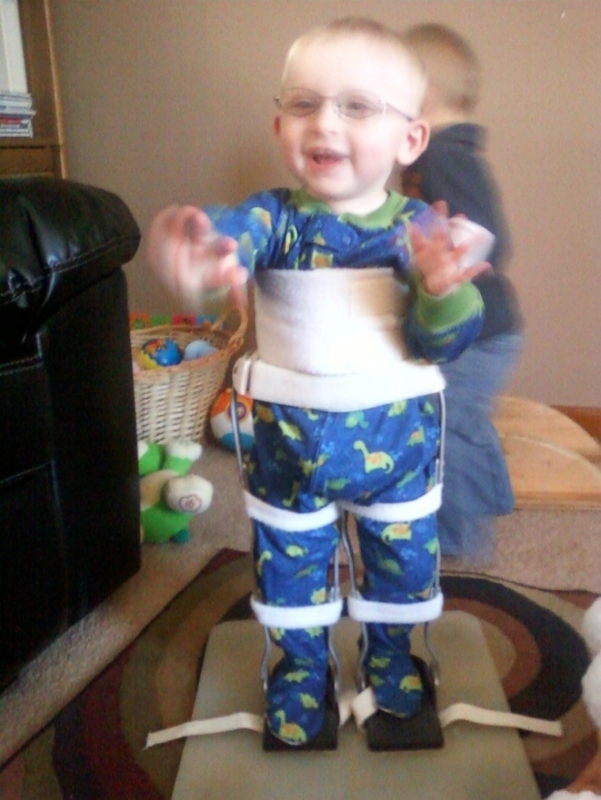 As he learns how to use it, Matthew will be able to communicate his needs without getting frustrated! 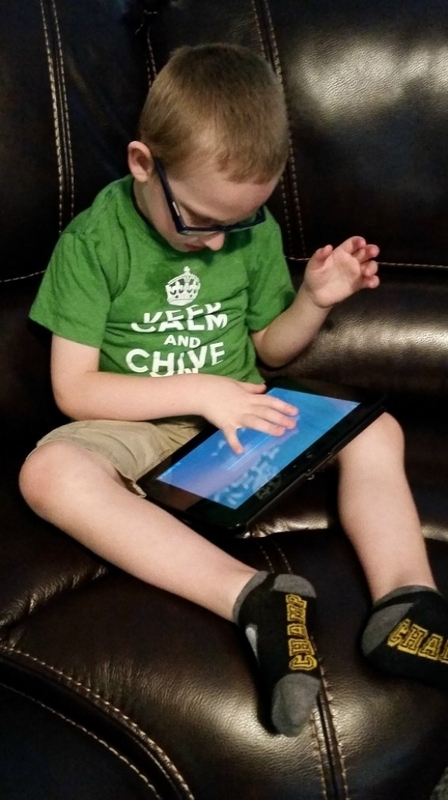 theCHIVE community continues to grow as a network of generous individuals eager to support the underdog. 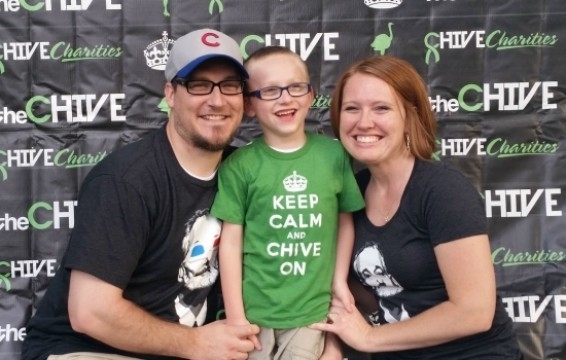 When we heard about Matthew, The Chive Illinois had already set the tone for how our community works and what we are about. They had already begun helping Matthew and we at Chive Charities are just proud to be riding on their coattails. The Hinkles are taking it one day at a time. It's hard not knowing what's the matter with your son. Hopefully, the Exome Genetic Sequencing test will yield some helpful information. Until then, Matthew is writing his own book with an infectious smile on his face. He fits right in.